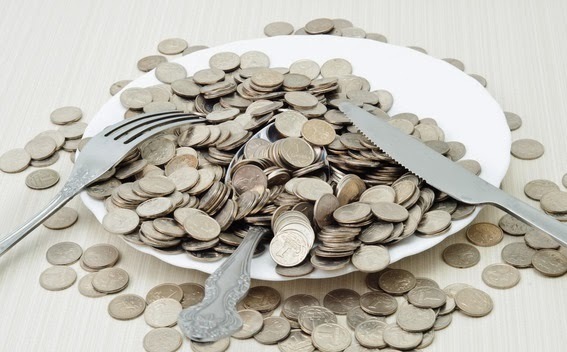 Dining on a budget need not be dull. Some of the world’s classic dishes depend on basic, inexpensive ingredients. Many food favorites originated in the peasant and working class cuisines of the world. The key to great food on a budget is flavor, intelligent ingredient combinations and imaginative ways of putting dishes together. Mediterranean cuisine is justly famous for its great flavors. Pasta is a prime example of a basic, staple foodstuff transformed by flavorsome – and wholesome – sauces. The chief ingredients of pesto, namely basil and pine nuts, would have been collected for free from the garden and woodlands. Pasta with pesto and a side salad remains a classic budget dish. Growing your own basil is easy and fresh pesto is cheap to make at home. Cashew nuts may be a cheaper alternative to pine nuts; spinach (or swiss chard) is also easy to grow and can be substituted for basil. Pesto freezes well, so you can enjoy a regular fresh supply. Check out the Instawares Food Blog to read about the latest dishes and recipes you can make at home. They also cover the restaurant and kitchen industry. Pasta puttanesca is another economical Italian dish that relies on simple ingredients and inspired flavour combinations for its deliciousness. The sauce is made from tomato, olives, garlic and onion, with anchovies and chillis providing piquancy. It is a very versatile sauce and a variety of other ingredients, such as chopped spinach and mushrooms, can be added to add both flavour and bulk. Only a tablespoon or so of sauce per portion, plus a sprinkling of parmesan, turns a bowl of pasta into a taste treat. Also from Italian cooking, gnocchi are an imaginative way to transform potatoes into a culinary feast. No more than little dumplings of potato and ricotta, they are proof that simple ingredients can be turned into taste sensations. Spinach added to the mix gives them a bit of extra zing, and sprinkled with cheese they are a light meal in themselves, or a filling and yummy side dish. The humble onion is the budget cook’s best friend. Added liberally to stew and casseroles, it increases quantity and enhances flavor without being overpowering (sweeter and milder varieties are an option for some palates). Onion cooked slowly in butter so that it caramelizes is sweet and tangy. Cheese and onion is another classic flavor combination. Cheese and onion pie (no more than cheese, onions and potato in pastry) is a dish that is simple yet timeless. There is something about pastry that turns plain ingredients into something more. Home-made pastry is astonishingly cheap, and easy once you’ve got the hang of it. Quiches can be filled with a huge variety of fillings and are great for using up leftovers. Cauliflower and broccoli, mixed with 2 beaten eggs and ⅓ to ½ a cup of milk is a good basic filling, to which other ingredients – artichokes, cheese, tomato, mushroom and bacon – can be added to make another classic meal, that can be served hot or cold. With a little bit of imagination and clever ingredient choice, they can be also be made into something quite exotic. Many budget dishes are economical because they rely on vegetarian ingredients. Substituting vegetables in classic cuisine dishes is one way to eat well while spending less. Mushroom stroganoff can be as good as beef stroganoff, for example. There are many economical meat dishes to experiment with. The traditional cuts of meat with vegetables are always more expensive. Think of meat as a flavour-enhancer, rather than the centerpiece of a meal. Dishes like moussaka or shepherd’s pie use perhaps half as much meat per portion as conventional cooking, such as chops with vegetables. Yet they can be just as flavorful and filling, and even more so. To shop for kitchen supplies visit Instawares.com where you can choose from a wide selection of the latest in dinnerware, flatware, and much more. Eating classic budget dishes a couple of times a week, preferably making them yourself from scratch, can save you a great deal, without being boring. Many of these dishes are also healthy and few will take up much of your precious time. Experimenting with world cuisine is great fun and allows us take advantage of generations of cooking wisdom and wonder that doesn’t come from the kitchens of kings.